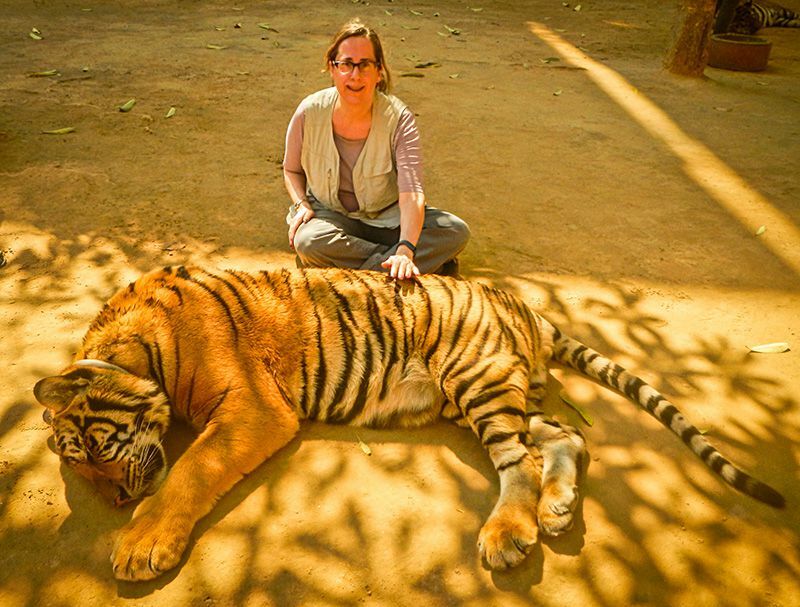 If you look carefully, you’ll see that I haven’t quite brought myself to actually touch the tiger, yet. ELEPHANTS AND TIGERS AND BRIDGES, OH MY! Hi folks. I’ll be guest blogging from time to time over at mightydin.com, which is run by a good friend and fellow traveler. Check out my post on our time visiting Thailand.